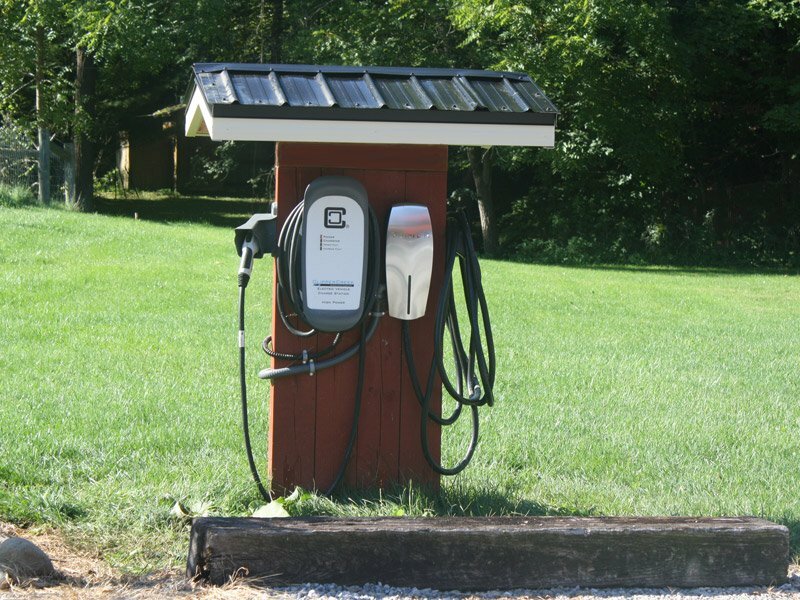 The Millersburg, Ohio Barn Inn Bed and Breakfast is now a Tesla destination inn; providing the only recharge station in Holmes County, Ohio. We have recently installed the Tesla High Power Wall Connector which serves Tesla Model S and Model X cars. Also installed is the Clipper Creek "Universal" J177S2 standard, compatible with any other battery electric and plug in hybrid automobiles for other major auto manufacturers. Now electric car owners and their cars may recharge while visiting Ohio's Amish Country. Electric car owners receive a free auto recharge while staying overnight at the Barn Inn Bed and Breakfast. It is interesting that here, where horse and buggy is a major mode of transportation, we also have the most modern application of technology. For travelers not staying as Barn Inn guests (overnight stay), there is a recharge fee of $15.